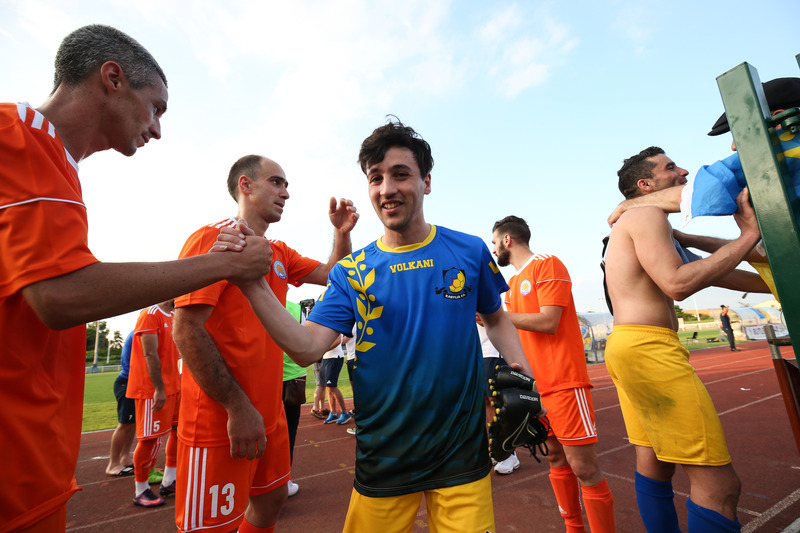 The CONIFA World Football Cup ended up on 9 June, with Karpatalya being crowned after a thrilling final against Northern Cyprus. While the FIFA World Cup is starting, another one has just finished. The CONIFA World Football Cup has just seen Karpatalya beat Northern Cyprus on penalty shoot-out on 9 June, at the end of a tense final. CONIFA, founded in 2013, is the Confederation of Independent Football Associations, the football federation for all associations outside FIFA. A global acting non-profit organization that supports representatives of international football teams from nations, de-facto nations, regions, minority peoples and sports isolated territories. Sixteen teams were qualified for the World Football Cup held from 31 May to 9 June in London, out of the 47 members of CONIFA. Teams like Tibet, Tuvalu, Padania, Western Armenia, Abkhazia, Kabylia or Panjab were represented. And at the end, Kartapalya was crowned. You might wonder what this team is. This people represents the Hungarians in Ukraine, approximately 156,600 people, the seventh biggest Hungarian diaspora in the World. They are mainly located in the Zakarpattia Oblast, an administrative province located in southwestern Ukraine. The final game was very undecided, with both teams having their chance to make a difference on the scoreboard. But neither Milan Laszik or Gergely Gyurki for Karptalya, nor Yasin Kurt and Tansel Ekingen could find the back of the nets. And after a 0-0 draw, the hero was Bela Fejer Csongor, the goalkeeper of Karpatalya, who stopped three penalties and was logically named player of the tournament afterwards. In this amazing tournament, we have seen a lot of fantastic goals, some brilliant plays and a quite high level of football. But above all, there was a lot of incredible human stories, from People from all around the globe who just want to exist.